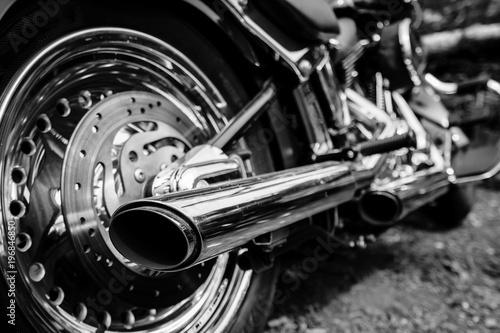 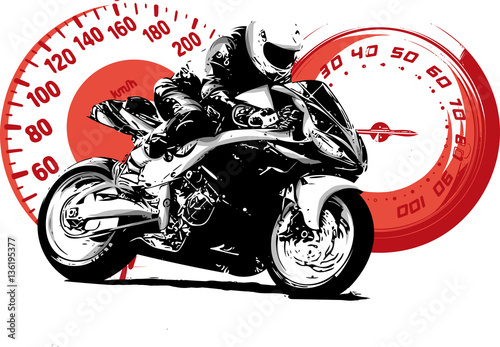 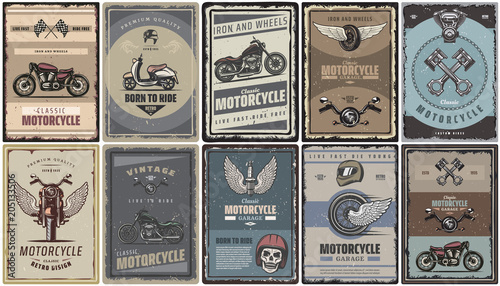 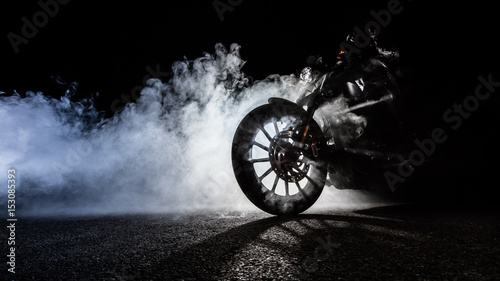 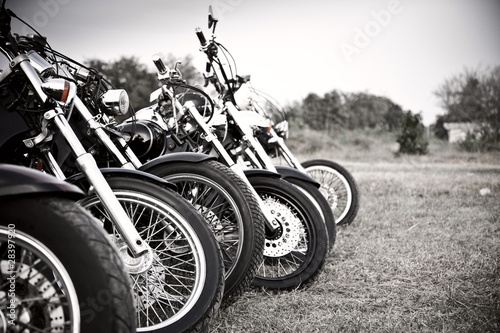 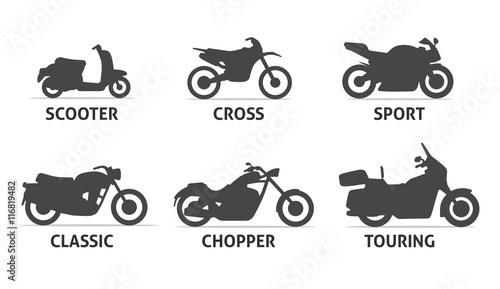 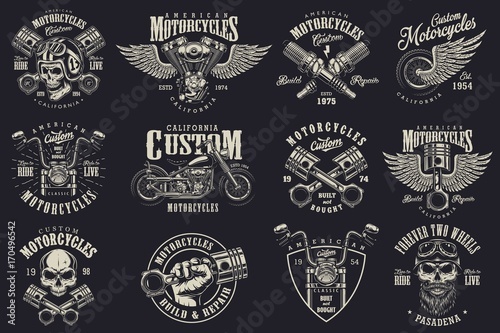 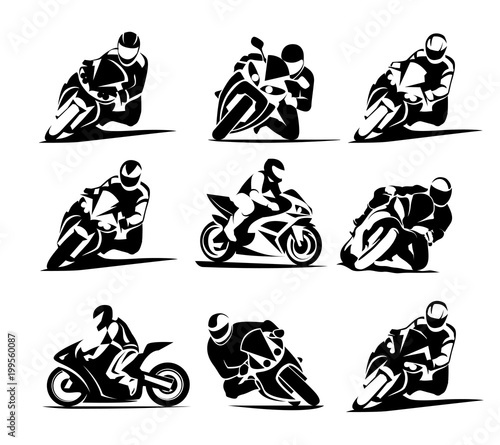 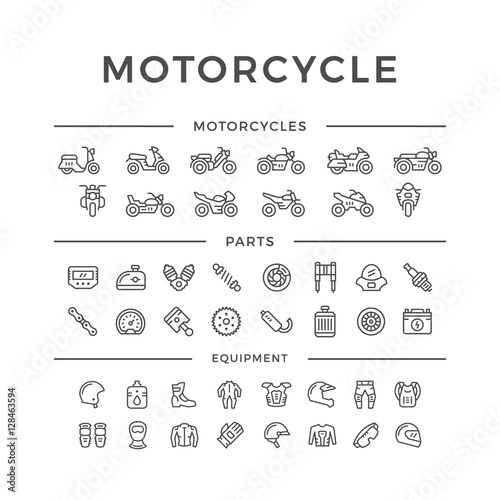 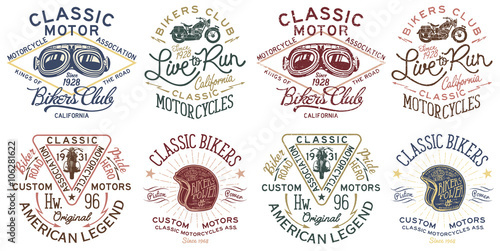 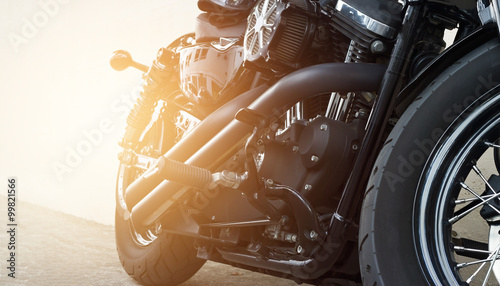 Motorcycle Type and Model Objects icons Set. 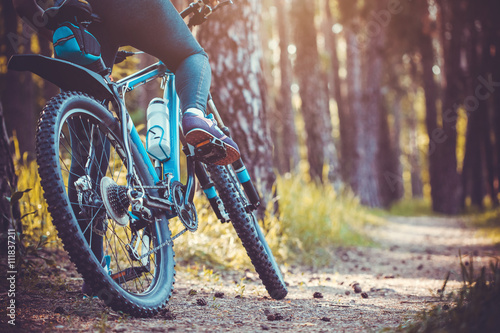 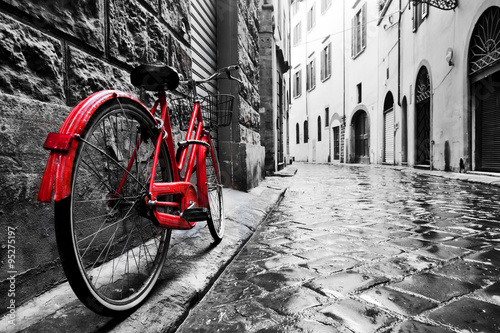 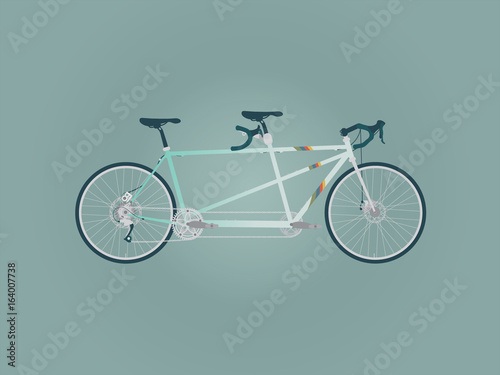 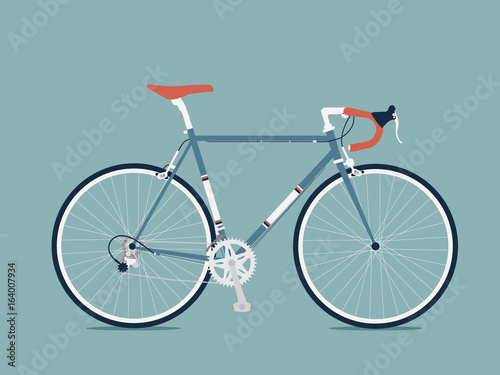 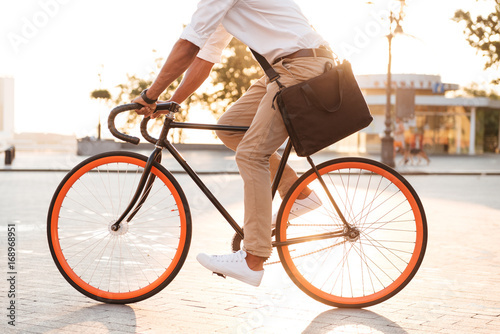 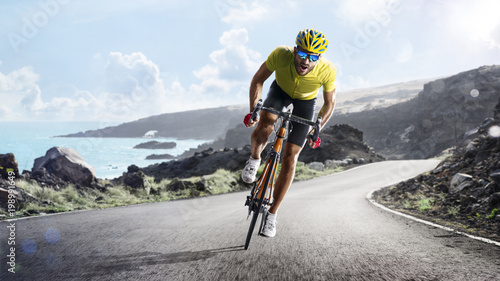 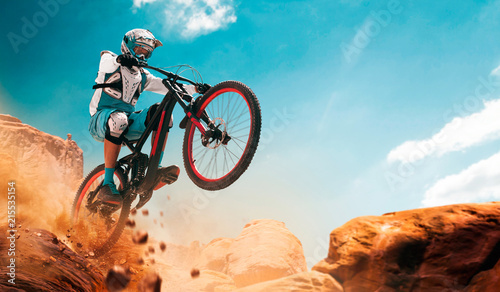 Vector bicycles of various types, wheel diameters, for sports and recreation, scheme a modern bike. 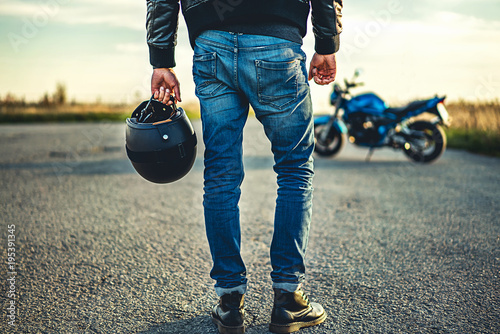 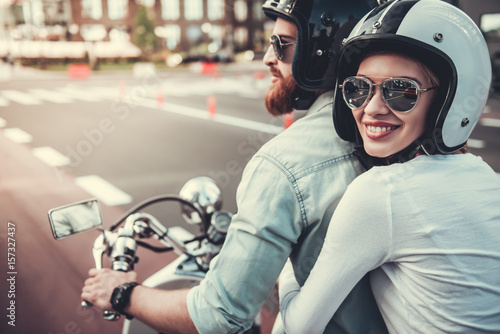 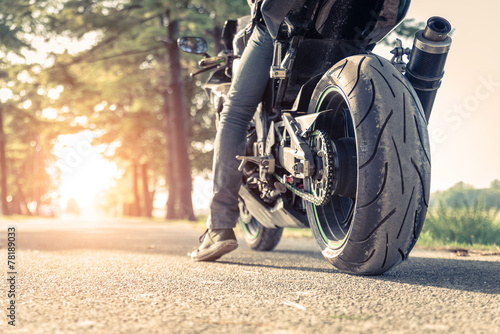 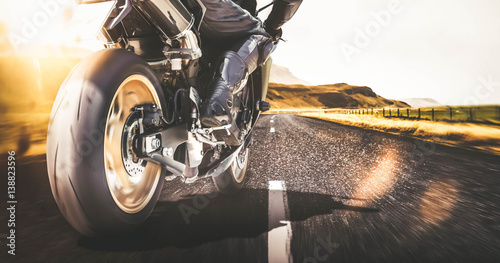 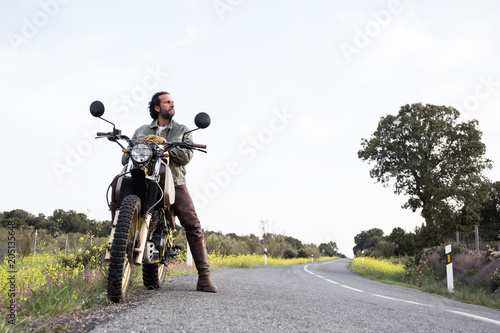 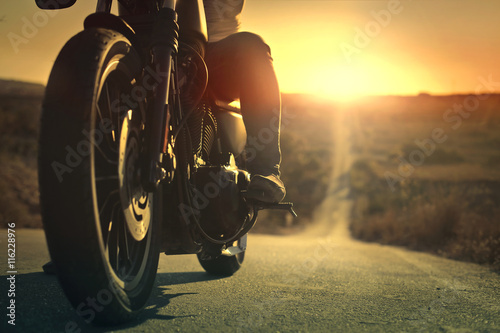 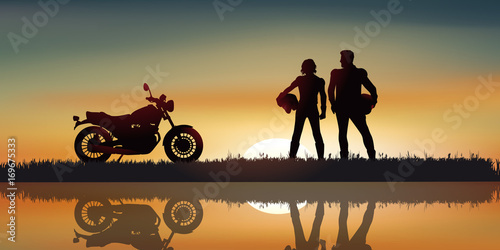 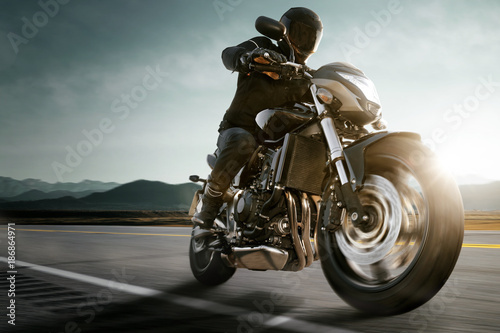 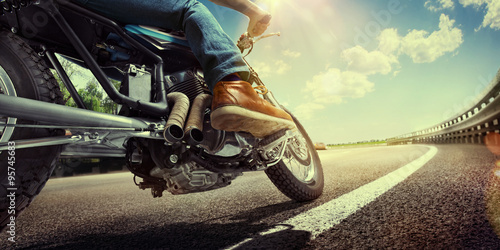 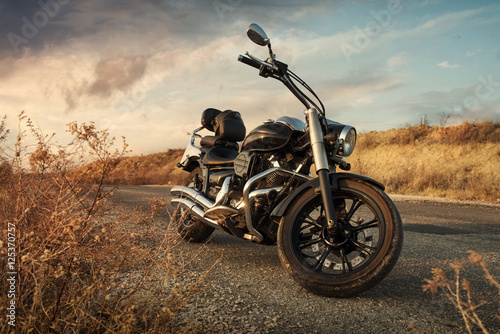 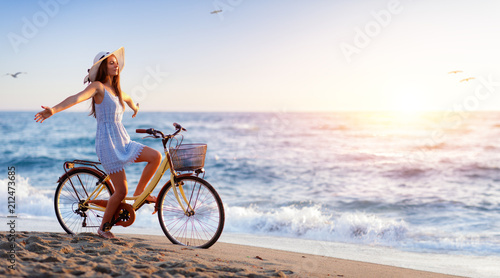 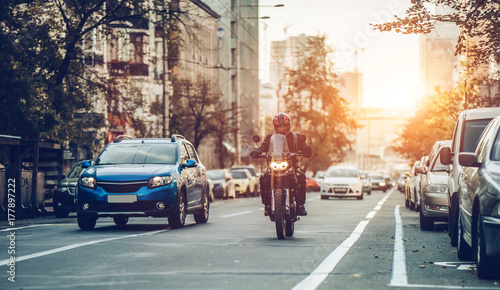 Adult man sitting on motorbike and looking away confidently with picturesque landscape in summertime on background. 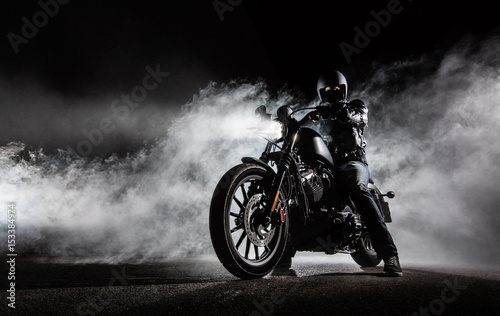 Black motorcycle in the studio. 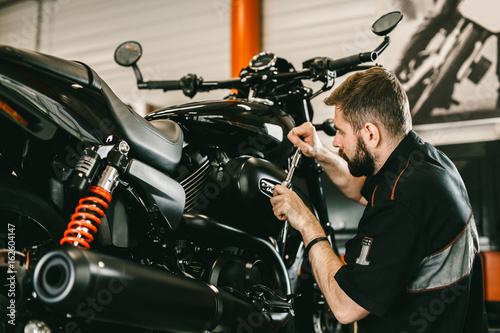 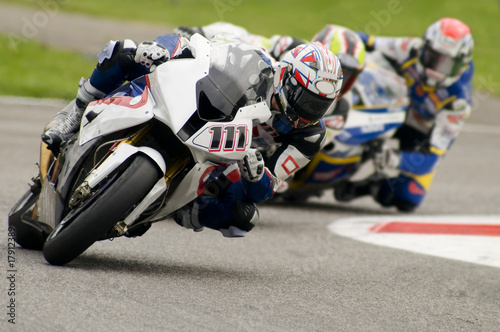 Professional mechanic working screwdriver and motorcycle repairs. 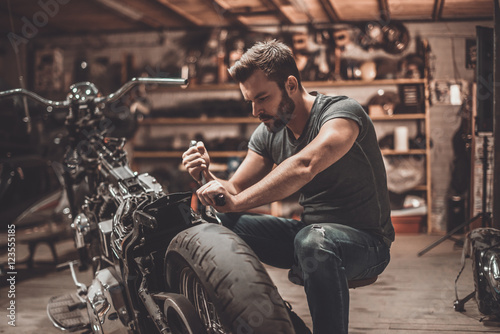 Handsome young man repairing motorcycle in repair shop. 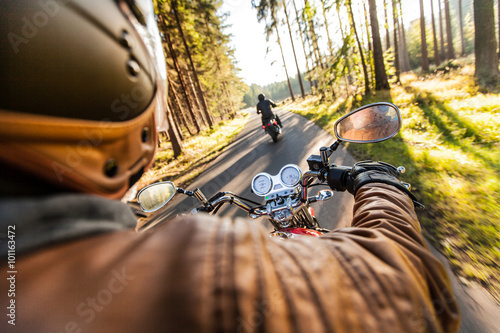 motorbike riding on the forest road. 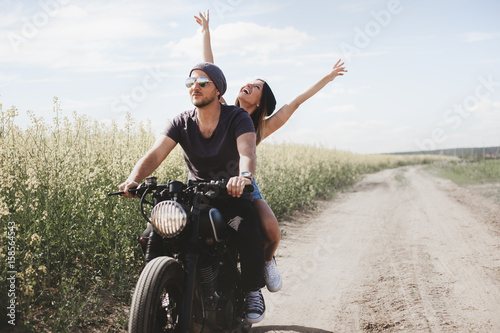 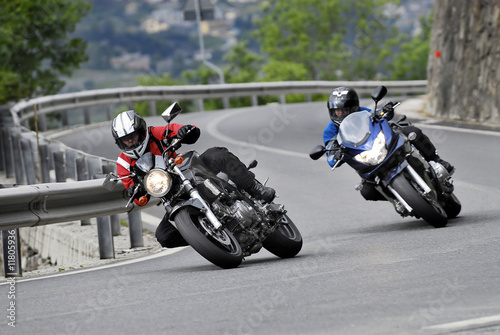 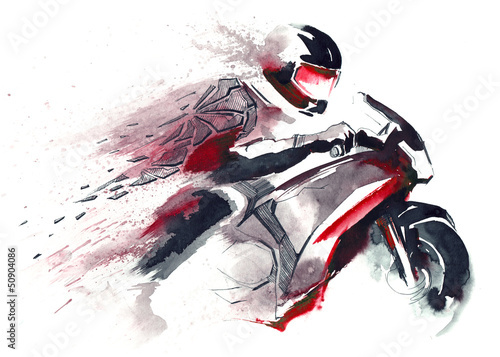 driving on the empty road on a motorcycle trip. 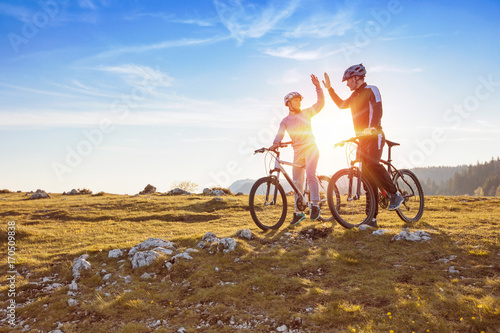 copyspace for your individual text.